We aim to provide a good experience to our customers so that they come back to us repeatedly for their filter needs. We recognize that part of that good experience is being treated with respect. We respect our customers' personal information and recognize that it belongs to them. When a customer makes a purchase on this site, we store some of the information that is provided during the checkout process for the purpose of fulfilling the purchase. This information includes: Name, shipping address, phone number, email address and the vehicle that was selected (make/model/year) during the purchase. We do not store the customer's payment card information. All payment card data is gathered from the customer and sent to our payment processor through an encrypted (SSL) connection. We do store the confirmation number from the payment card transaction along with the information mentioned above for our accounting records. The email address provided during a purchase will be used to send updates to the customer on the status of that purchase. 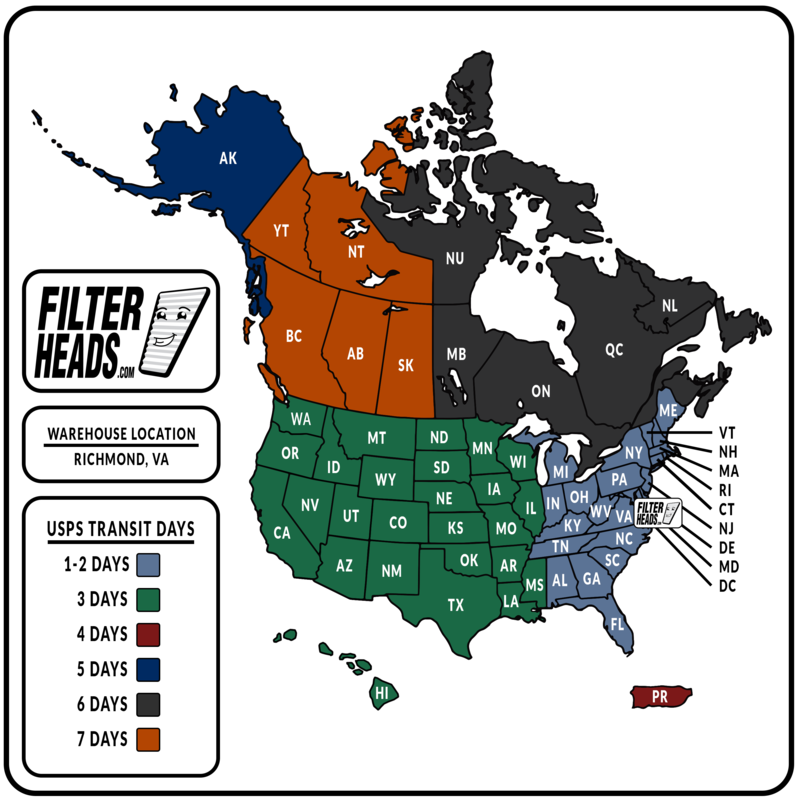 During a purchase, a customer is able to "opt-in" to receive promotional emails from filterheads.com. These emails will only come from filterheads.com, and they will only pertain to business between filterheads.com and the recipient of the email. A customer can "opt-out" of the promotional emails at any time by clicking the "unsubscribe" link at the bottom of any promotional email from filterheads.com. Under no circumstances will we sell customer information.